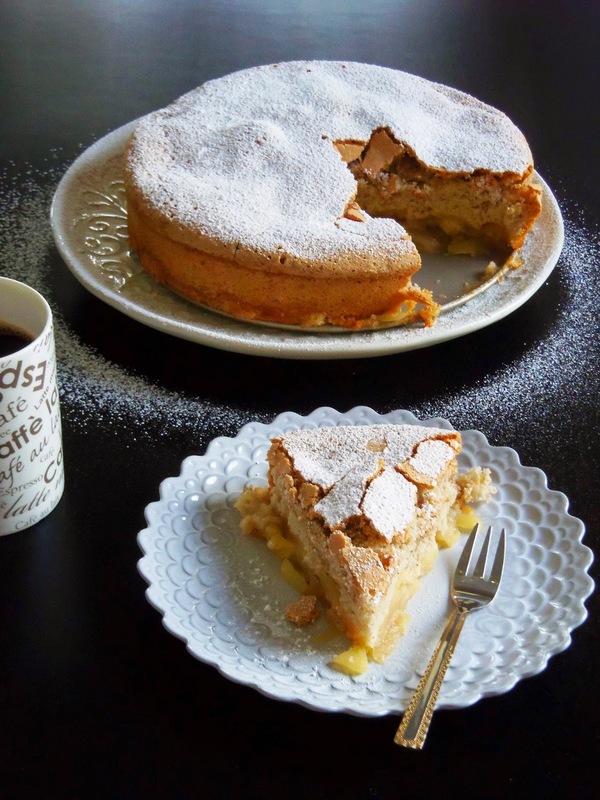 With all the culinary influences that Romania has been blessed with, you would surely think that we would be well acquainted with the popular Russian Apple Sharlotka cake. Well, not so much, or at least my family isn’t. 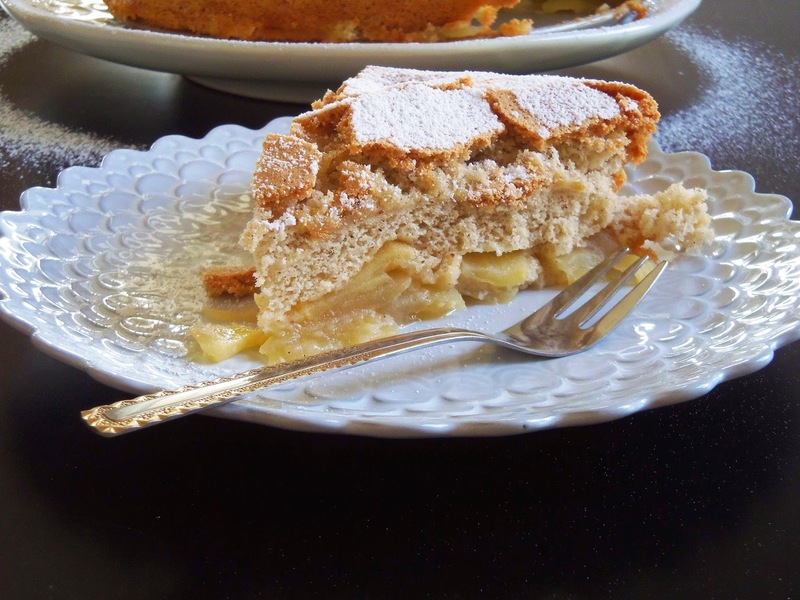 Granted, my grandmother has her own arsenal of apple pies and apple tortes to keep our greedy tummies satisfied. 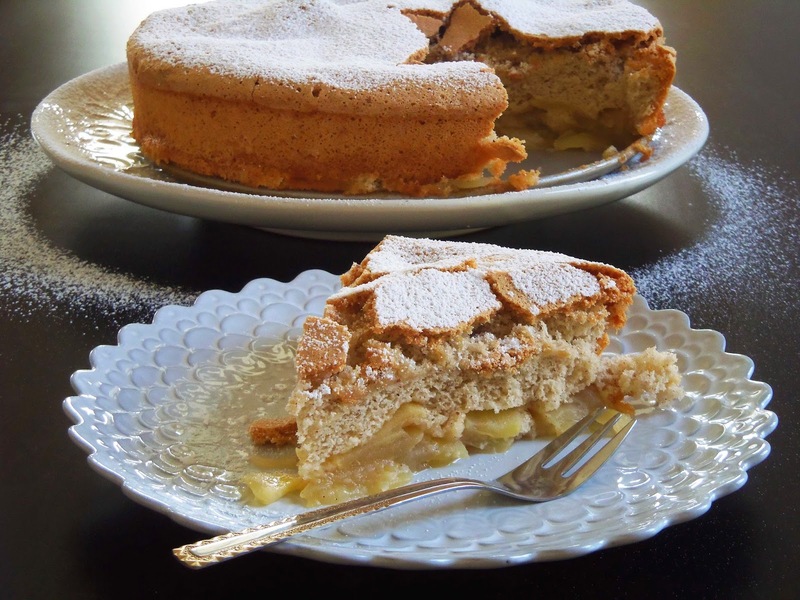 So, until stumbling across this recipe for Apple Sharlotka in the November issue of Food & Wine, I had never heard of this kind of sweet delight. But I can’t tell you how happy I am to have finally discovered it. 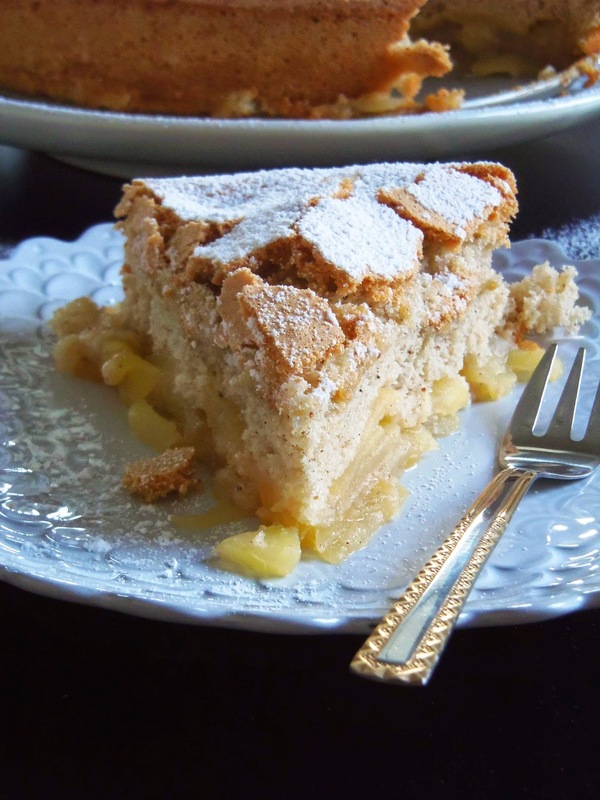 The Apple Sharlotka is a traditional Russian apple cake-torte-pie-all-in-one kind of dessert. 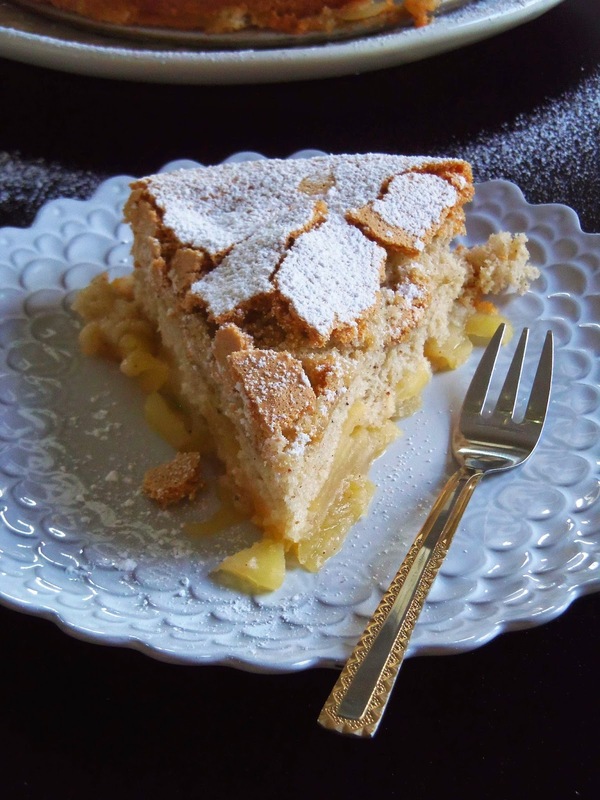 In fact, I personally find it to be vaguely similar to the Vanilla Pudding Apple Torte that my grandmother spoils us with especially during the apple season; just as few if not fewer ingredients and no need for the glossy vanilla pudding draped all over the cake. 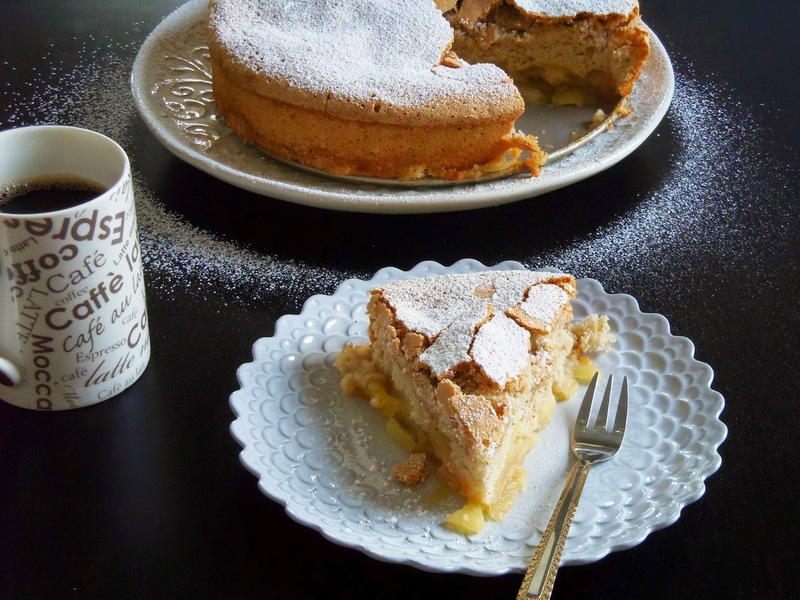 The top is delectably flaky, crusty and thoroughly dusted with powdered sugar, while beneath it the cake is light and fluffy, not too sweet and spiced with just the right amount of cinnamon, nutmeg and almond extract to create a heady, appetizing spectacle of flavors. 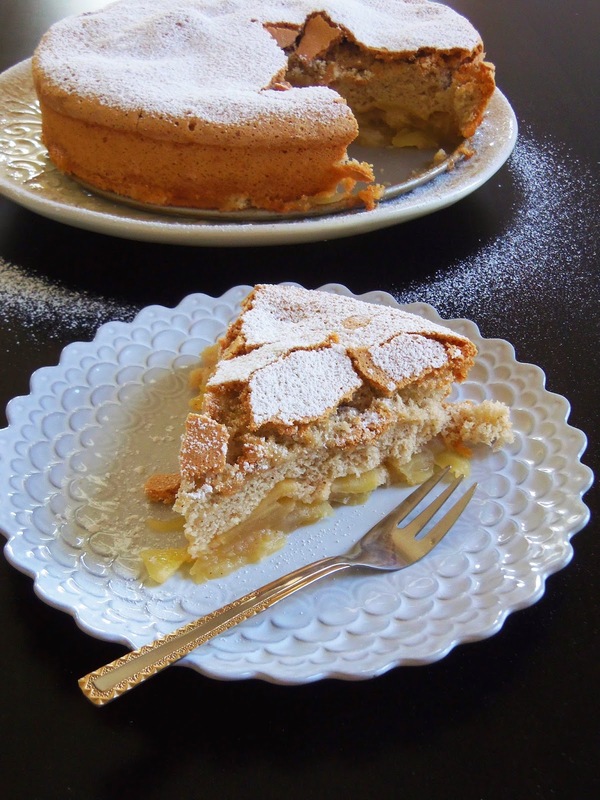 And at the bottom, you are greeted by a healthy layer of tart juicy and soft apples. 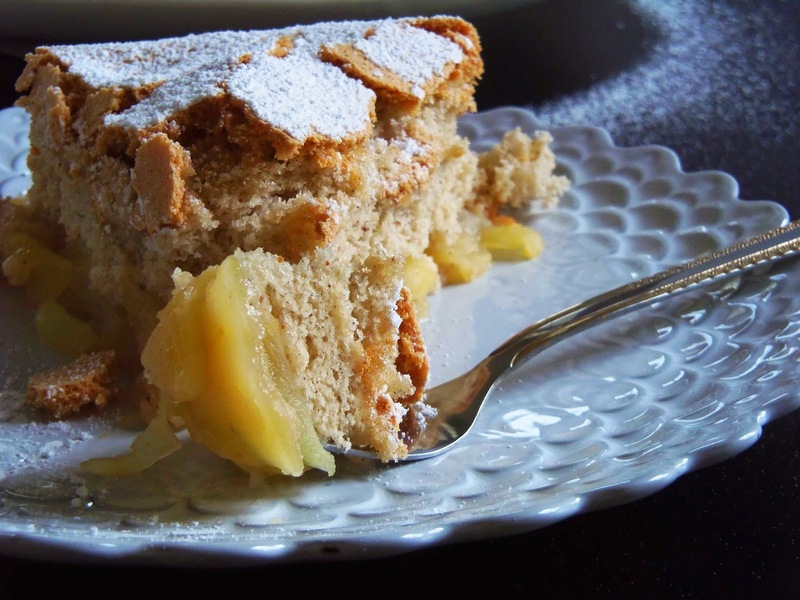 It’ll be hard devouring only one slice and most likely, you’ll end up making this treat again and again. 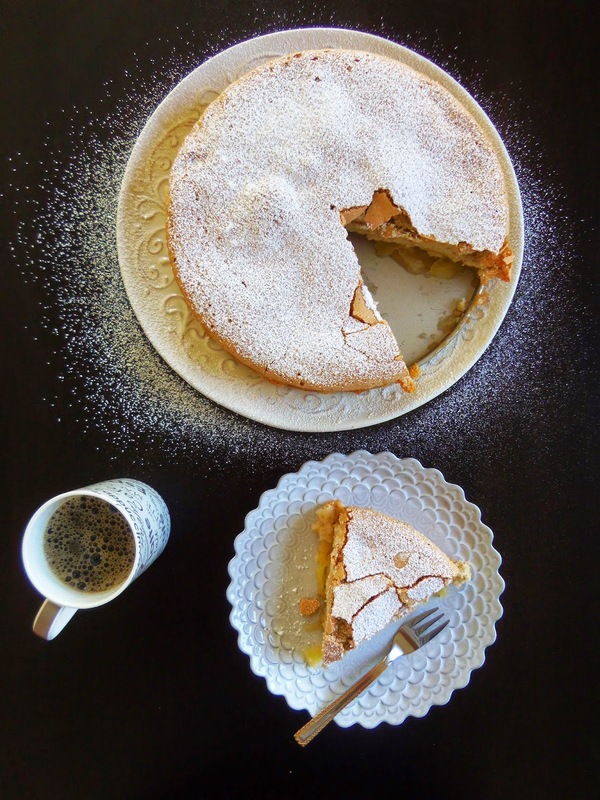 Beside the fact that this cake is ridiculously easy to whip up, it’s very likely that you already have all the ingredients in your pantry and you don’t have to hastily scramble to the supermarket to fill up the basket. 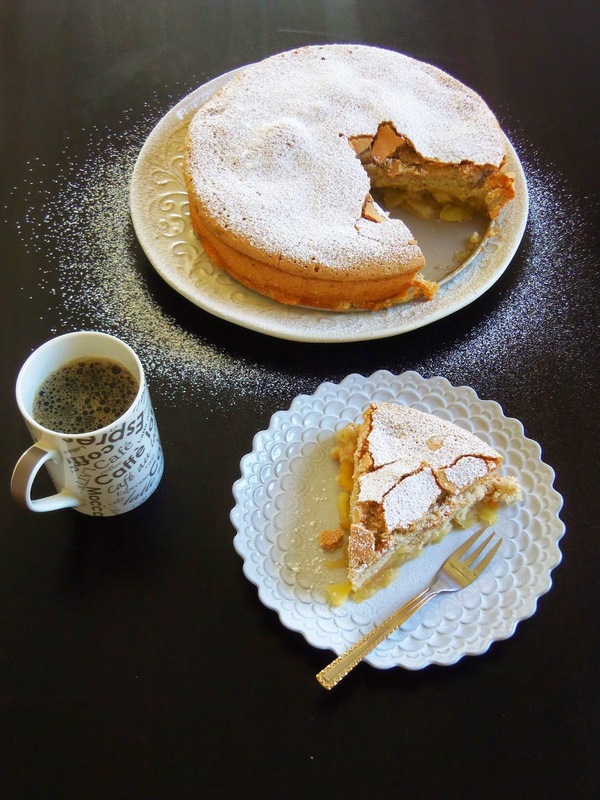 On top of that, the sharlotka goes perfectly with tea or coffee, and makes for a quick and glorious breakfast or afternoon guilt-free snack. 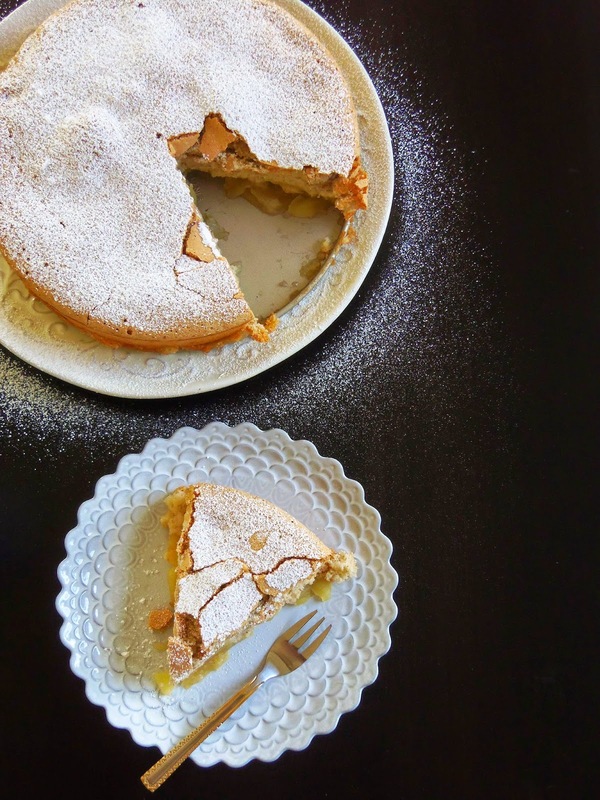 I know that we’re in the midst of pumpkin frenzy and I should probably switch my attention to this autumn staple fairly soon, but right now I just prefer to indulge in the apple season and this apple sharlotka a tad longer. Happy Halloween everyone! Preheat the oven to 350º F. Grease the bottom and side of an 8 or 9-inch springform pan. Meanwhile, in a small bowl, whisk the flour with the cinnamon, nutmeg and salt. 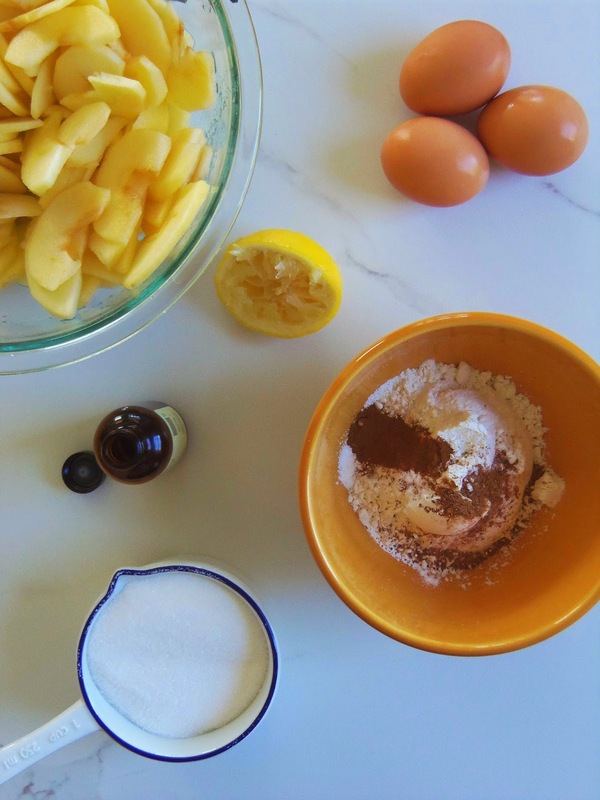 In a medium bowl, using an electric mixer, beat the eggs with the almond extract and the remaining ¾ cup plus 2 Tablespoons sugar at medium-high speed until thick and pale yellow and a ribbon forms when the beaters are lifted, about 8 to 10 minutes. 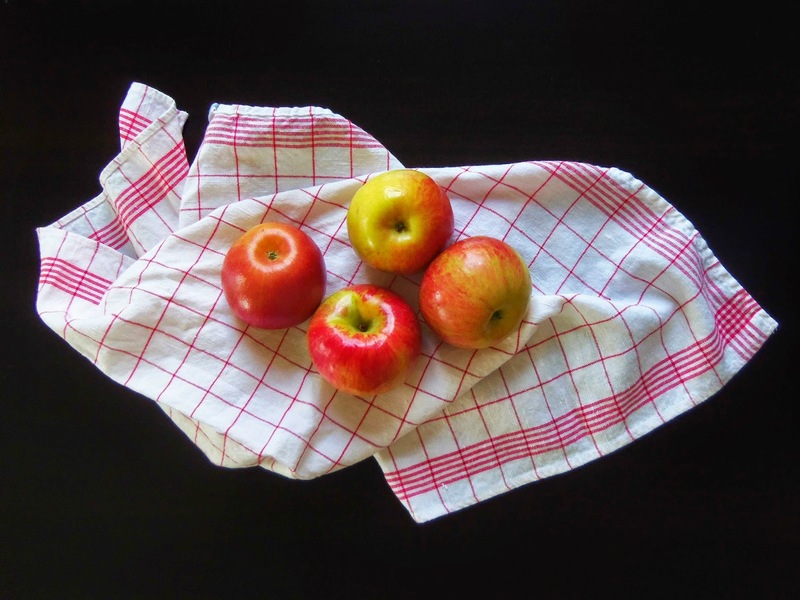 In two batches, gently fold in the dry ingredients just until incorporated. 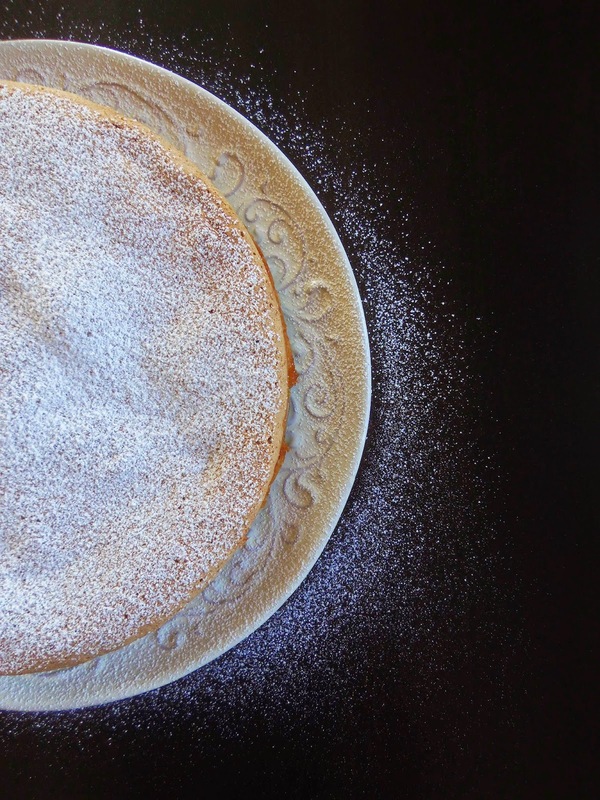 Bake the sharlotka for about 55 to 60 minutes, until it is golden and crisp on top and a cake tester inserted in the center comes out clean. Transfer to a rack and let rest for 15 minutes. Unmold and transfer to a serving platter. 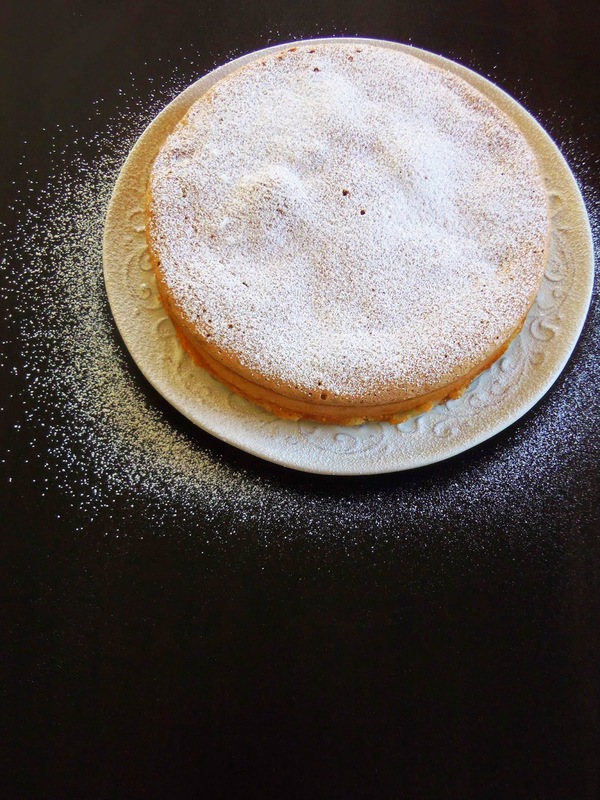 Dust with confectioners’ sugar and serve warm.